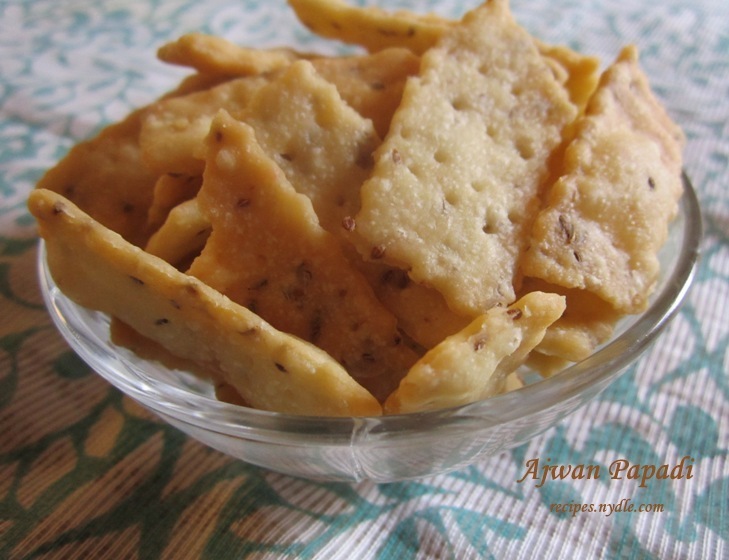 Ajwain Papdi Recipe/ Papdi for chaats Recipe. Ajwain Papdi Recipe/Papdi for Chaats Recipe. Hello foodies! Here is easy and simple tea time snacks recipe for you. Papdi is easy homemade snacks. Here I have used ajwain/carom seeds which add to the taste and aroma to the papadi. You can also use some other spices of your choice. 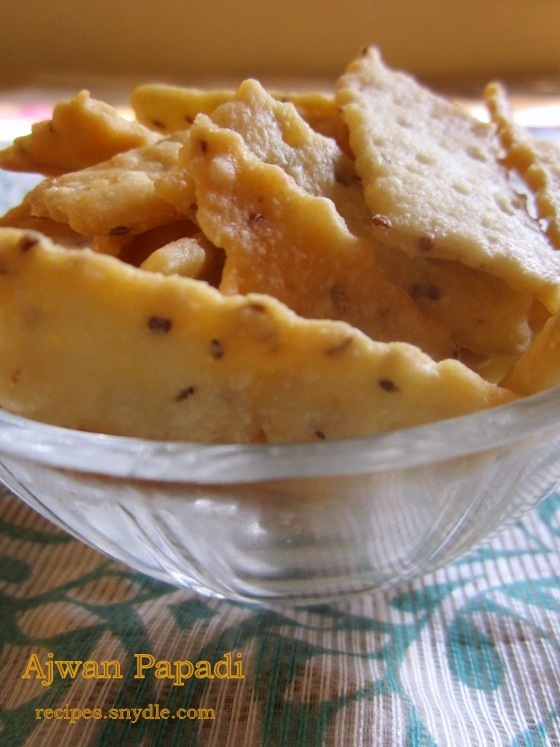 Ajwain papdi is one of the best travelling snacks. This is a superlative namkeen recipe and a scrumptious Indian snacks. Ajwain papdi can be had with tea or can be used to make different chaats like sev puri, bhel puri, dahi puri, papdi chaat. If you love chaats here is the simple papdi recipe which you can make and enjoy preparing different chaats. Ajwain papdi cab be store for a week or two as it has good shelf life. 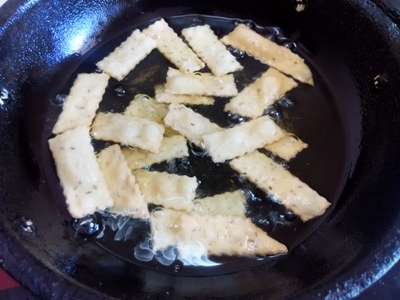 Kids enjoy such crunchy and crisp fried crackers. 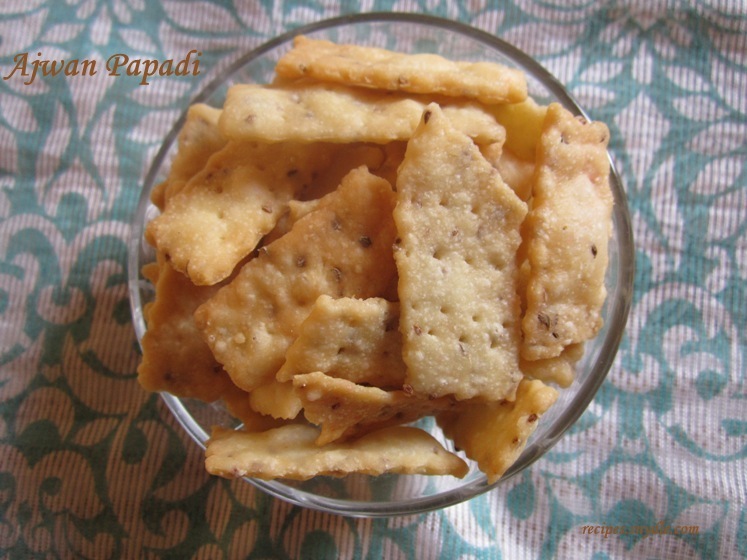 This simple papdi recipe will help you to keep your kids away from packed snacks. 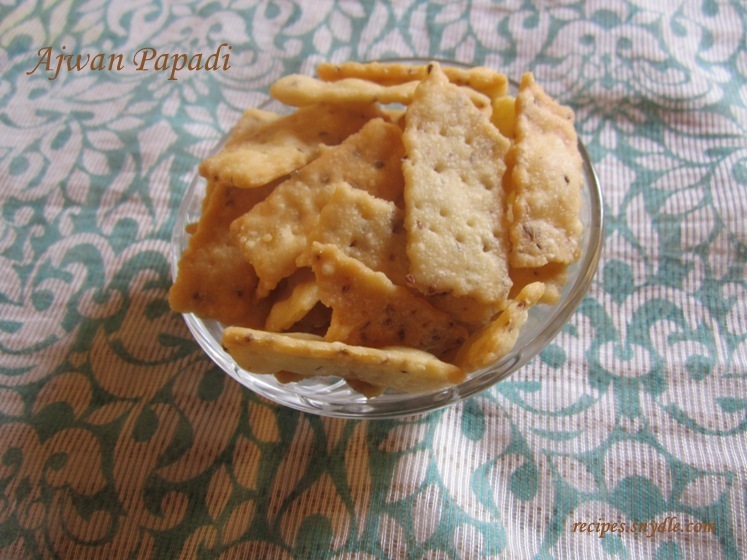 Ajwain papdis are deep fried crunchy crackers. 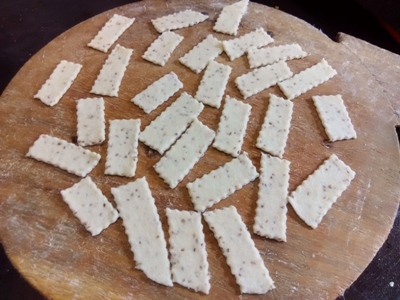 When you are in hurry or you have surprise guest at your place then you have a best option to make ajwain/carom seeds papdi. padadois are of differrent shapes and sizes. 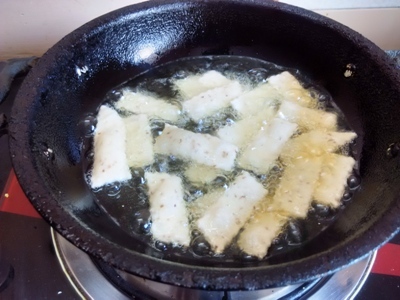 I have made strips of papdi but it can be made in circular square or any shapes. 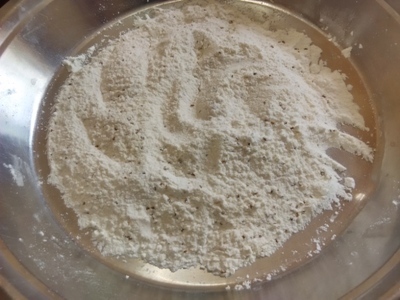 Papdi get its crispiness and crunch from maida/refined flour, sooji/semolina and corn flour. 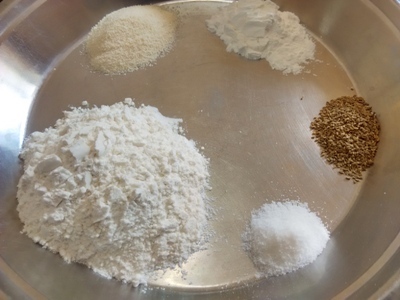 Here I have used ajwain/carom seeds but you can use sesame seeds, onion seeds/kalaunji, zeera/cumin seeds or some other spices of your choice. But I like ajwain/carom seeds flavour. 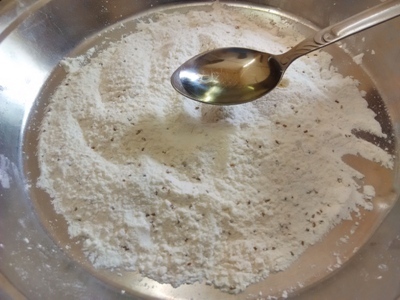 Now lets see how to prepare ajwain papdi / papdi for chaats. Add oil to the mixture. 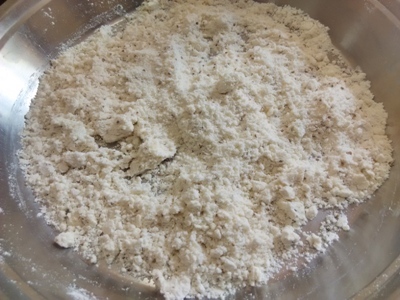 Mix the mixture well with the help of your hand till the mixture gets crumbly. Prepare a medium consistency dough. 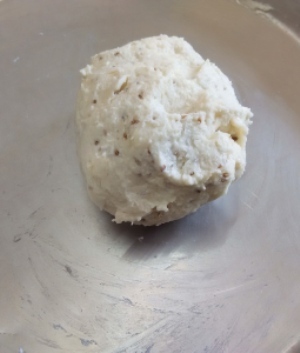 Dough should not be too hard or too soft. Do not knead nor allow the dough to rest. Make equal parts of the dough. 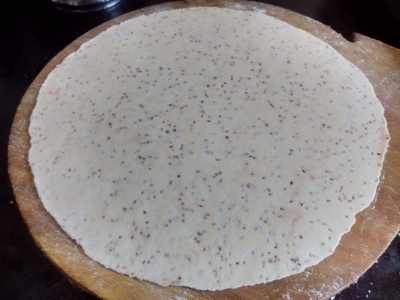 Place it on dusted board and with the help of rolling pin, roll it in circle shape like roti. Roti must not be too thin or too thick but of medium consistency. Prick with the help of fork. Now cut the ajwain papadi with the help of cutter in rectangular shape or any shape or size you want. Take a skillet. Add oil to the skillet and heat it on high flame. Place ajwan papadi into the hot oil and reduce the flame. After 2-3 minutes flip it and turn the flame to high for 1 minute. Now reduce the flame and allow the papdi to fry on other side for 2 minutes or until the ajwan papdi gets good golden brown colour.Remove papdi on kitchen towel to drain excess oil. Ajwan papadi is ready to serve and can be stored in air tight container for few weeks. Enjoy! papdi with tea or chatnis/dips.